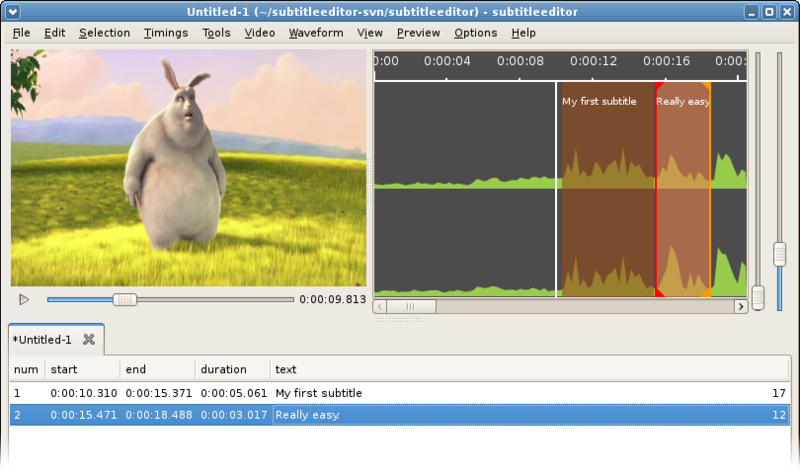 Subtitle Editor is a tool to edit subtitles for the Linux operating system. Designed primarily for the creation and editing of subtitles within a video, Subtitle Editor nevertheless has translation features that are being consistently updated and improved. 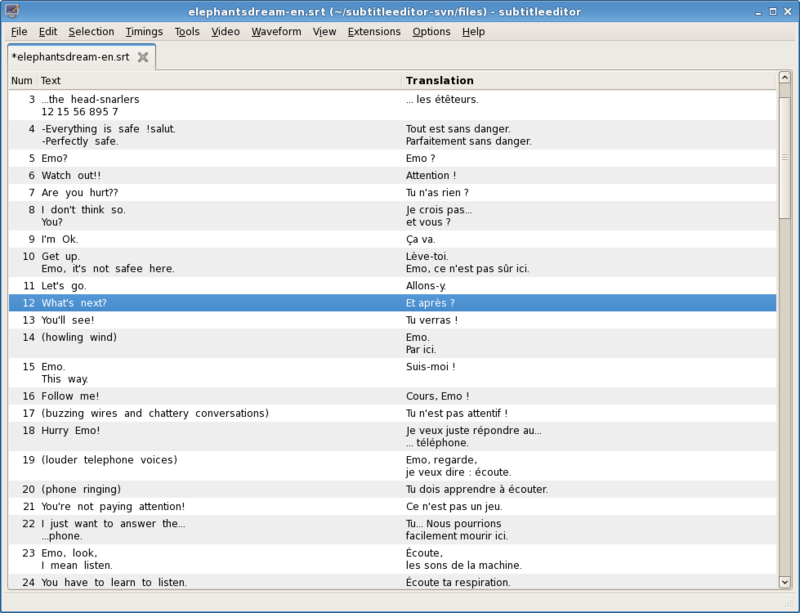 It offers, like many subtitle managers, a two-column view with each language in a column enabling side-by-side translating line by line. With a prominent waveform window, voice to text subtitling is made easier so Subtitle Editor can be used to easily create subtitles rather than just translating pre-existing subtitles. The waveform and parallel translation view provide Subtitle Editor with a simple editing interface and can then offer a user-friendly tool for editing subtitles for video.